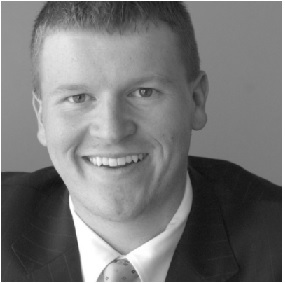 Denver, CO – July 24, 2017 – (RealEstateRama) — “Real Leads Are Back: How Social Lead Gen Change Will Change The Way You Look At Lead Gen Forever” is the hot topic that Eric Stegemann, CEO & Director of Strategy of Chicago-based TRIBUS, will address at Inman Connect at the San Francisco Hilton, August 7-11, the nation’s largest real estate technology conference. At TRIBUS, Stegemann works to deliver forward thinking, fully custom platforms for medium and large sized brokerages across the U.S. and Canada. His learning lab session will be taking place at Inman Connect on Thursday, August 10th, at 2:00 p.m. The Stegemann session is part of a Learning Lab presented by a hot new company, Boulder, Colorado-based startup zavvie, making its debut at Inman Connect. zavvie is the nation’s first hyperlocal marketing platform designed to provide every neighborhood with a go-to local real estate pro. Stegemann brings years of experience and expertise to his role as CEO & Director of Strategy for TRIBUS. Having become a REALTOR® before reaching the age of 20, Eric grew passionate about an industry where responsibility and hard work were rewarded. While he loved selling real estate, he knew there was a larger opportunity to build a technology-oriented brokerage. Prior to creating TRIBUS, in 2004, he created River City Real Estate, a commercial and residential real estate company that quickly became the largest independent brokerage in the St. Louis area. There, he oversaw the development of numerous real estate technology breakthroughs that were well ahead of their time. The intellectual property developed at the company eventually became the framework for his new technology firm, TRIBUS. As its CEO and Director of Strategy, Stegemann works to help Brokerages around the U.S. and Canada improve by delivering custom platforms to best engage buyers, seller, agents and staff alike. 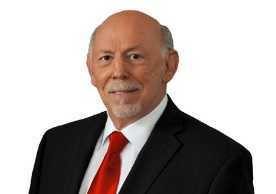 In addition to his work at TRIBUS, Stegemann has also been active as a speaker at a variety of real estate events, including Inman Connects in New York and San Francisco, the NAR Annual Convention, and numerous state and local board association meetings. zavvie is hosting a half-dozen educational sessions as part of its Learning Labs at Connect SF, during the afternoons of Wednesday, August 9 and Thursday, August 10.
zavvie is the nation’s first hyperlocal marketing platform, the place where savvy, trusted local real estate agents go to tap into the most powerful way for a real estate agent to grow and maintain a successful real estate business. zavvie delivers to a real estate agent, a complete social media and hyperlocal system for top agents to build their listing business and make – or keep – them the dominant agent in their neighborhood. Discover more about zavvie at www.zavvie.com. Leading real estate consulting group, moving the industry forward with the power of information. 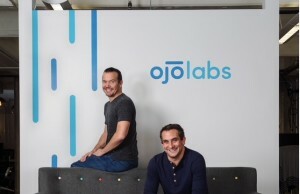 OJO Labs, which empowers consumers to make better decisions by providing the AI based personal assistant, “OJO,” has raised $45 million in Series C funding to accelerate its development and market expansion. America’s number one real estate agent doesn’t cater to the rich and famous in Beverly Hills, or the titans of Wall Street in Manhattan. Ben Caballero is the broker-owner of HomesUSA.com®, based in Addison, Texas, and sells new homes to Texans for more than 60 top builders in Dallas-Ft. Worth, Houston, Austin and San Antonio.